The federal personal income tax in the United States isn’t constitutional, but the federal corporate income tax is. 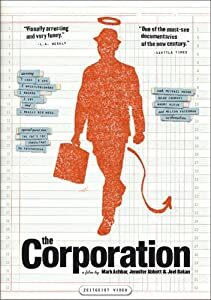 Ironically, Walter Block of the Mises Institute has written in defense of corporations, despite them being creatures of government. It perhaps should come as no surprise, since the Mises Institute is a 501(c)(3) government-sanctioned and regulated tax-exempt organization that got its status from founder Lew Rockwell and others, begging the government they claim to hate, for such status. Despite Mises Institute VP Jeffrey Tucker conveniently overlooking McDonald’s Obamacare exemption and corporate subsidies they receive when waxing on about all the taxes they pay, he is right in not condemning the federal corporate income taxes paid by McDonald’s, since they are both constitutional and justifiable. A Google search for “the income tax is unconstitutional” turns up 57,400 pages, showing the prevalence of those who fail to distinguish between the constitutionality of income taxes and corporate income taxes. It is why I am careful to say that I am against direct taxes on individuals, and not all direct taxes, since corporate taxes are a direct tax on corporations, which are creatures of government. The federal personal income tax is unconstitutional, since the most powerful argument is given in Aaron Russo’s documentary, From Freedom to Fascism, whereby the Supreme Court has repeatedly ruled that the 16th amendment conferred no new taxing power upon the federal government, and it was agreed it didn’t have that power prior to the amendment. A heavily progressive personal income tax is one of the 10 planks of the Communist Manifesto, and with good reason, since its purpose is wealth redistribution. A corporate tax can also be used for wealth redistribution but its justification is that it’s compensation for the special privileges that corporations are afforded by the state that created them, and corporations have no rights, while people do, and one of those rights includes keeping the fruits of your own labour. Some people, like Walter Block, pretend to be great libertarians, and even have the audacity to claim they hate the state, and others don’t. Yet it is ironic that these neo-libertarians, as I call them, have turned libertarianism upside down to the point of arguing that government-created entities effectively have rights, with some of them even arguing that even corporate taxation is theft, despite me showing how the blanket statement that “taxation is theft” doesn’t withstand scrutiny.